About the Author: Laura Geringer Bass is the author of many books for children including A Three Hat Day, an ALA Notable Book and Sign of the Qin, an ALA Best Book as well as the Myth Men series, adapted by CBS as an animated TV show. 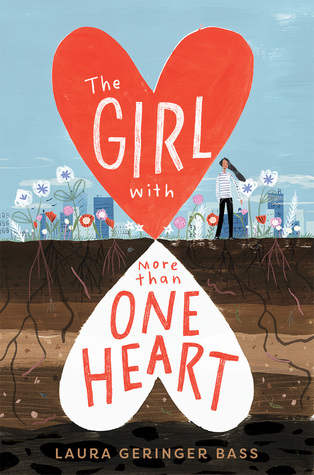 As publisher of the award-winning Laura Geringer Books, an imprint of HarperColllins Publishers for over twenty years, she collaborated with many celebrated authors and illustrators in the field of children’s books. She is a mentor for Girls Write Now, for Prison Writes serving teens at risk, and for the graduate Fellowship program in Children’s Literature at Stonybrook/Southhampton, as well as a faculty member of New York Writer’s Workshop. She serves on the advisory board of First Book, a non-profit organization that has delivered over 180 million books into the hands of children in need. Find Laura on her website www.laurageringerbass.com and on Facebook. This middle-grade story is one. Of heartbreak. It does a lot of telling but not a lot of showing and the narrative was a little off for me. ]Do I Recommend this book? Not really this one had a lot of issues. I don’t think that the main characters voice really sounded like an 8th grader. At least not any 8th grader I’ve met. This sounded more like someone who was still in elementary school but in a situation that was for middle graders. Which made the story feel a little off. I did like the aspects of her autistic brother and the feelings she had for her mom and her brother. It really got to the heart of the matter about how she felt she was being left out. Which in my experience happens a lot. When my oldest was diagnosed with type one diabetes earlier this year. Everything for our youngest was put on hold because of doctor appointments and hospital visits while we got her sugar under control. And we know from chatting with her that she felt left out during that time. In the end, I think this one would have been better if it would have been a high young adult title. As I do not think most middle graders will be interested in the situations that are presented in this story.